Karbonn K98 how to remove head phone mark? Here is the solution for Head phone symbol or ear phone symbol or hands free symbol problem, if you have face this problem then follow the below process to solve the hands free symbol problem. 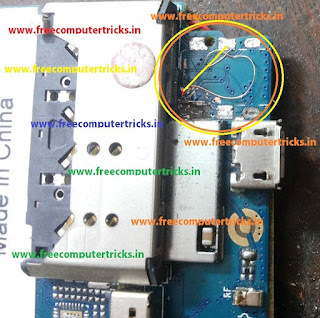 Check the below image to apply jumper to remove the heard phone symbol for Karbonn K98. First try the RED line, apply jumper or if you have damaged the point then try to apply jumper BROWN line. 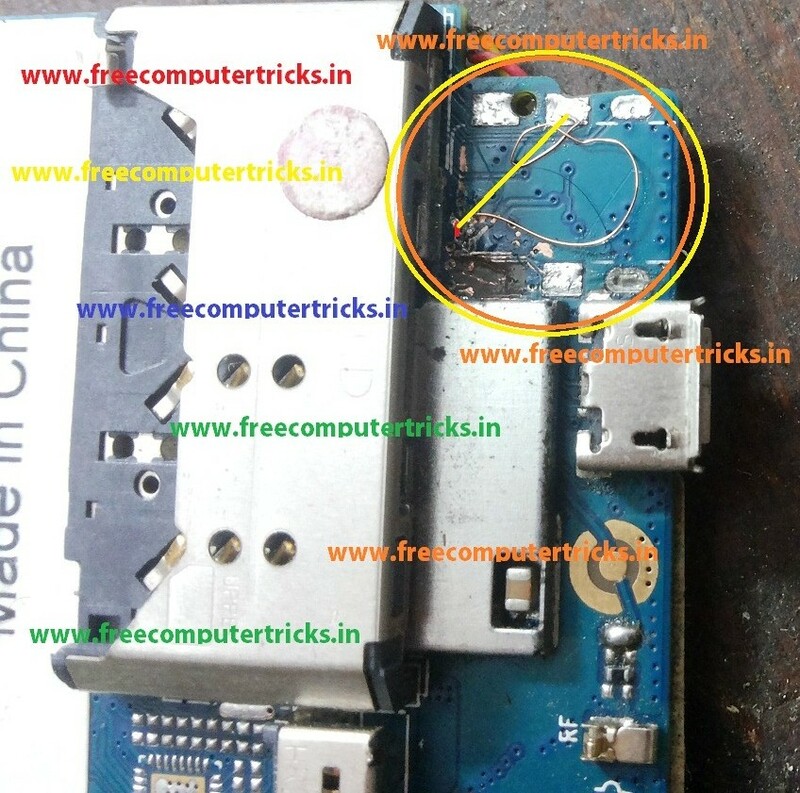 As you see on the above image, one point is damaged so we do the jumper to the next point of the Karbonn K98 Mother board (Brown Color Line). See the above Large Image to understand the jumper way to remove head phone symbol for Karbonn K98.